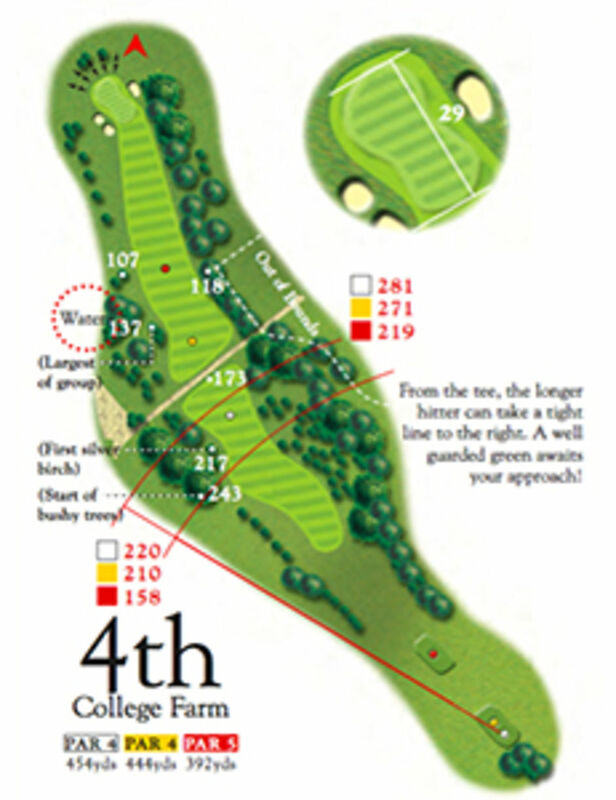 Again a good tee shot is essential on one of the longest par 4s on the course. 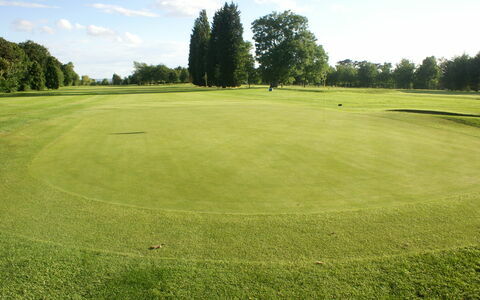 A drive favouring the left of the fairway, thereby avoiding the trees and shrubs to the right of the fairway, should provide a view of the well guarded green. For the ladies this hole is par 5. 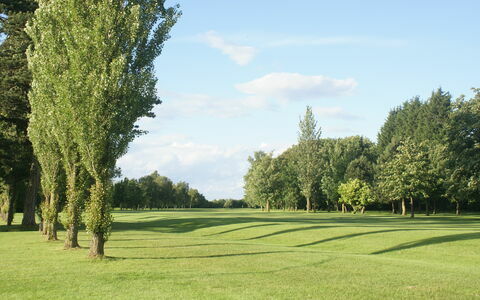 College Farm is situated to the right of the fairway and is accessed by the track which crosses it, although the original farm and buildings were replaced by a house some years ago.